The drug ketamine has been in the spotlight recently as a drug that can treat severe depression that traditional anti-depressants has been unsuccessful at treating, and I’m very excited to able to offer this promising treatment to patients in my Manhattan offices. A team of researchers funded by the National Institute of Health (NIH) has reported that people in a small study who had treatment-resistant bipolar disorder experienced relief from depression symptoms in as little as forty minutes after getting an intravenous dose of ketamine. Similar research studies have been repeated and continue to demonstrate that ketamine treatment can be effective in treating precisely those patients who have not responded to oral anti-depressant treatment. 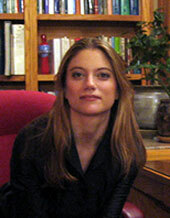 Sara Solovitch of the “Washington Post” wrote that “experts are calling ketamine the most significant advance in mental health in more than half a century.” She reported that many academic medical centers, including Yale University, the University of California in San Diego, the Mayo Clinic, and the Cleveland Clinic, have all begun offering ketamine treatments off-label for severe depression. In the last few years, I’ve had quite a bit of success in my own practice treating patients with depression with ketamine. If your depression has been resistant to anti-depressants and other treatments, I’d be more than happy to discuss a regimen of ketamine treatment with you. Ketamine does not work for everyone, but if you’re frustrated and feel like you’ve tried everything else, it could be the next step for you! I’m more than happy to evaluate your current regimen and discuss whether I think you’re a good candidate for this treatment. I should point out that ketamine has extremely limited risks, and if it does work for you and provides you relief, you’ll be in a much better place and we can discuss a maintenance program. If it does not work for you, there’s no risk in a consultation and I can explore other alternatives with you. I look forward to speaking with you and please feel free to email general question to amanda.itzkoff@gmail.com or my office to schedule a consultation at (917) 609 4990.